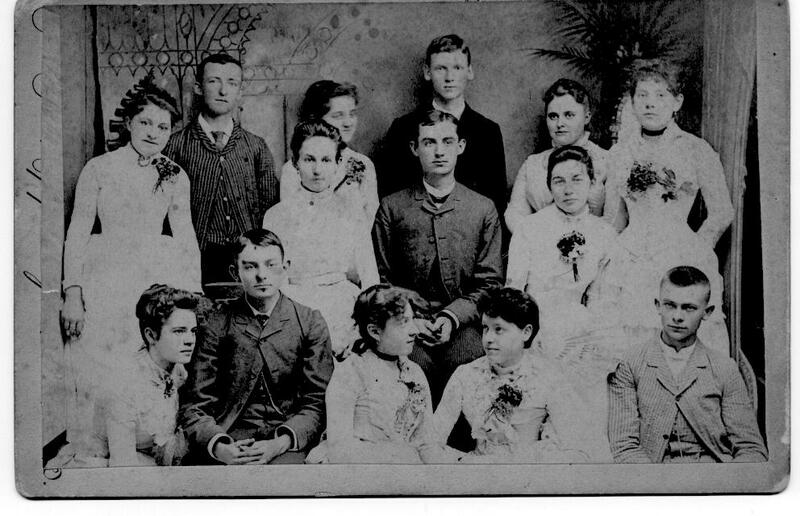 Comments: Ben Fowler (Nee: ) | OK USA | | Comments: This photo looks like a graduating class, from the 1850's-1880's. There are 14 people in this group. I have done the best I could in deciphering the names, very light, in pencil, very difficult to read, I might have made errors in the spelling of names, all but 3 have last names listed. This photo was found at the Tulsa, Ok. flea market, I think the vendor bought it at a farm/estate sale in OK.